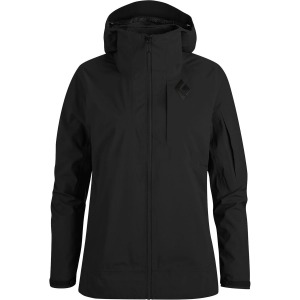 The Black Diamond Women’s Mission is the jacket you want whether you’re skiing in the resort on a storm day or finding the best snow in the backcountry. Made with a waterproof, breathable three-layer Gore-Tex shell, fully taped seams, and a burly 70D nylon face, the Mission thrives whether you’re using and abusing it inbounds, or navigating a brushy approach in the backcountry.You’ll find everything you need for a full day of tram laps or skintracks on the Mission Jacket. Two large, two-way underarms zips dump heat when you’re hoofing it to the top of your line, while the helmet-compatible hood offers additional protection when the wind is moving snow and cold air around. Inside the jacket is a stretch powder skirt for added protection from the snow, while two skin-compatible mesh pockets provide a place to warm up skin glue before it’s time to head back up the skintrack. The relaxed fit of the Mission offers plenty of space to add extra layers during really cold days, without being too bulky when you’re wearing the jacket with just a baselayer beneath it. 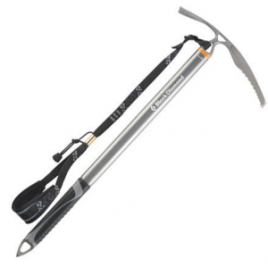 BD partnered with Cohaesive to allow for easy, on-the-go cord management at the hood and hem, so you can lock the jacket down tight whether you’re riding up a cold and windy chairlift, or skinning up a high and windy ridge in the backcountry.